UAVOS has announced its new SURVEYOR-H Unmanned Aerial System, based around the company’s UVH-290E vertical takeoff/landing (VTOL) drone platform. The new unmanned helicopter has a takeoff weight of 192 lbs (87 kg) and was designed with durability, extended operation life and serviceability as a priority. The multi-purpose UVH-290E unmanned helicopter is the newest of UAVOS’ gasoline rotary engine helicopters. In comparison with the previous version, the telemetry of the helicopter state parameters has been expanded, allowing for control of the basic parameters in flight, thereby contributing to the increased reliability and safety of the aircraft. The flying range of the UAV is 249 miles (400 km) with a practical ceiling of 6800 ft (2100 m). The flight time of the helicopter is 5 hours with a payload of 11 lbs (5 kg). In addition, the efficiency of using the aircraft in difficult climate conditions – with a wide temperature range of 31F + 122F (-35C to + 50C) – has been increased. The new system implements retransmission of data on the command line, which significantly increases the area of ​​safe operation. The EW countermeasure function makes it possible to carry out research into conditions of jamming of satellite radio navigation signals and the command line channel. A new payload has been designed for the unmanned helicopter, incorporating a 4K daytime camera, thermal camera and laser rangefinder, with a weight of 8lbs (3.6 kg). Its gimbal includes a computer for onboard video processing, capturing and tracking targets, recording data and automatic guidance. The unmanned UVH-290E helicopter has been designed as a multifunctional aircraft and can perform a wide range of tasks, from research missions to the delivery of cargo weighing up to 20 kg, in hard-to-reach areas. “The main objective of upgrading our VTOL fleet is to enhance the reliability of equipment, and to increase resources and simplify operation for personnel. 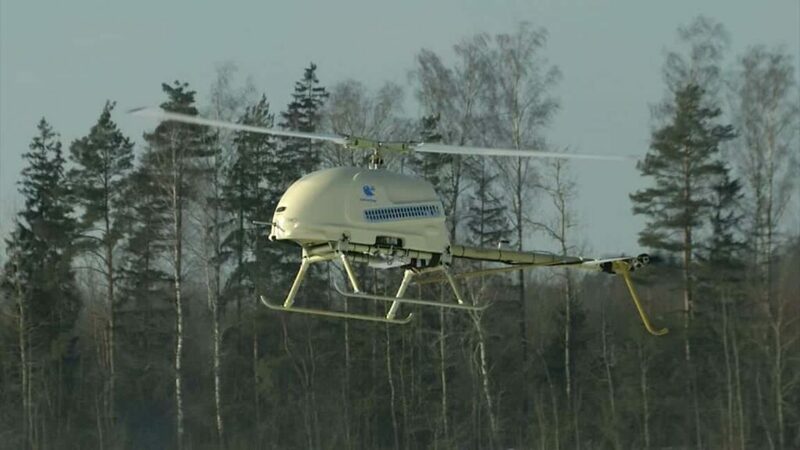 In particular, the new version of the petrol helicopter has an automatic starter generator, an easily assembled structure for the convenience of transportation, and a power scheme that has been updated for redundancy of some systems,” concluded Tarasov.